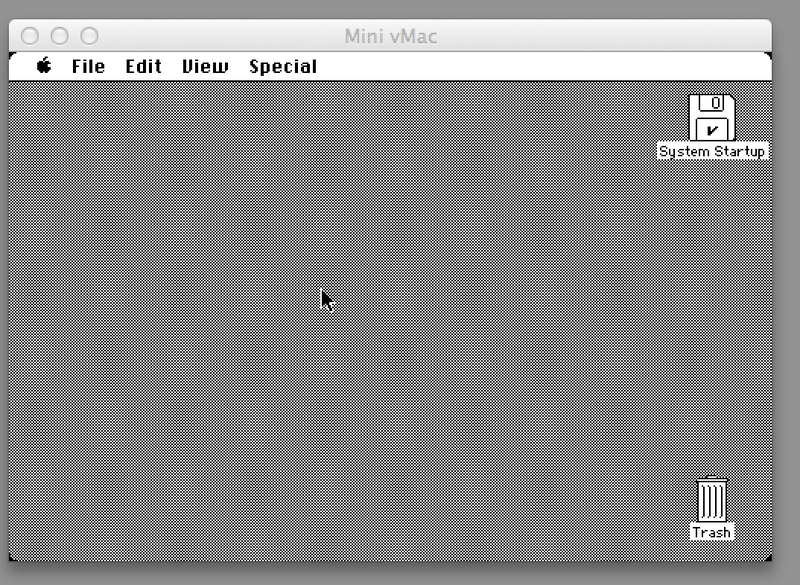 The following steps are referenced from the Mini vMac Getting Started guide. 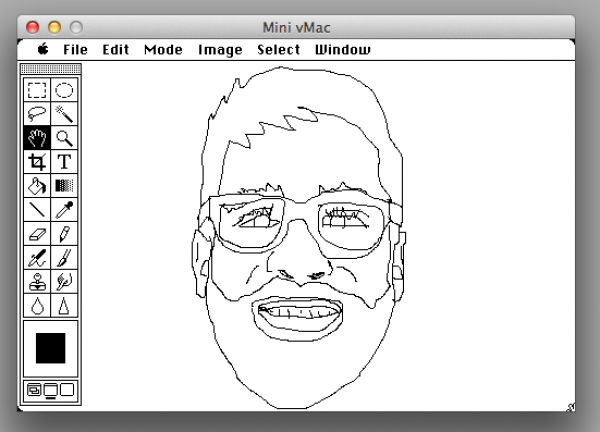 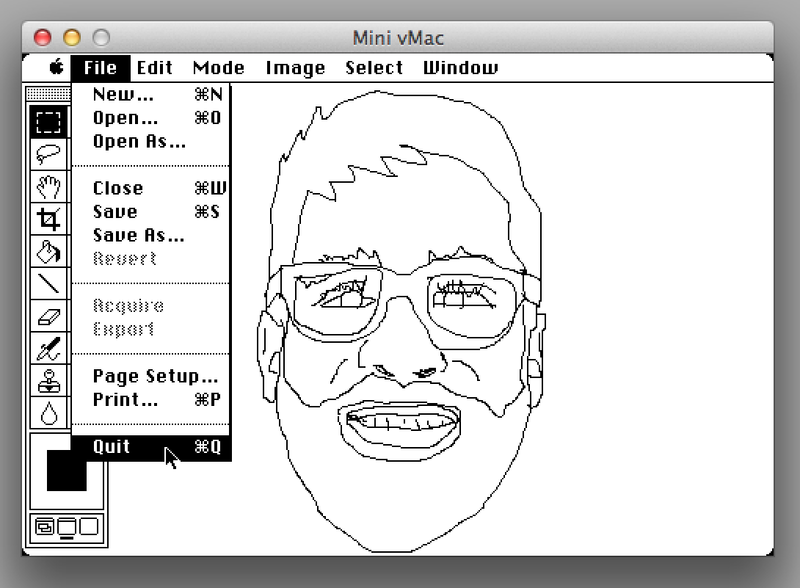 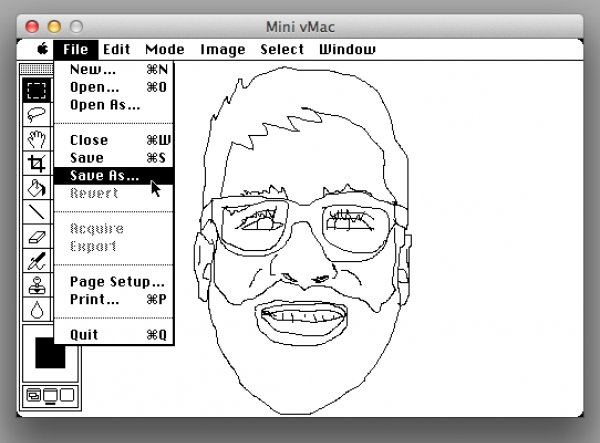 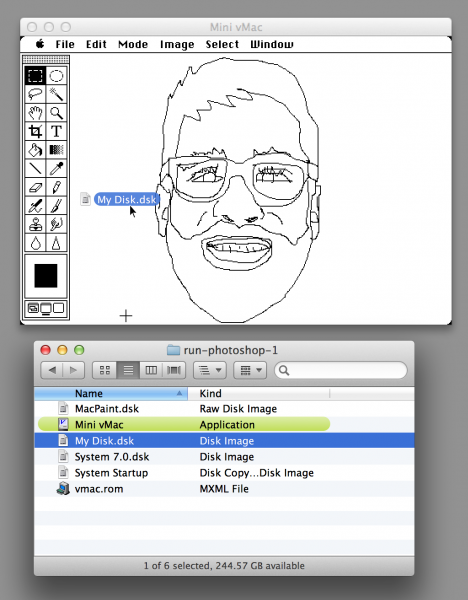 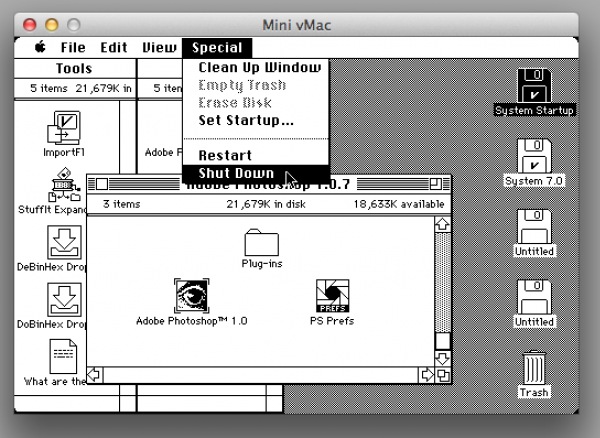 Double-click Mini vMac to launch a super-cool Macintosh Plus emulator. This software mimics the function of the mid-’80’s third generation Mac desktop computer, original MSRP $2599. 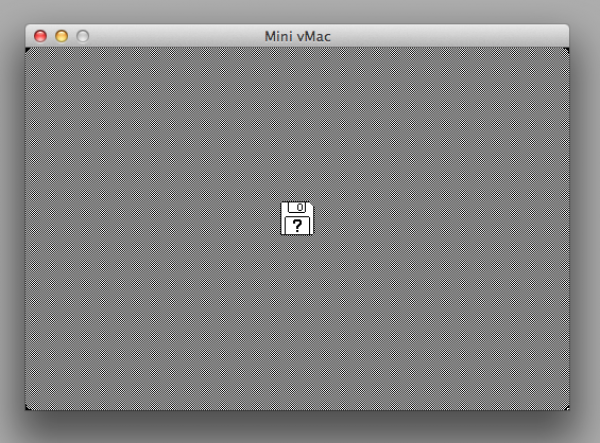 You’ll hear a beep, and get the flashing-question-mark-disk icon. 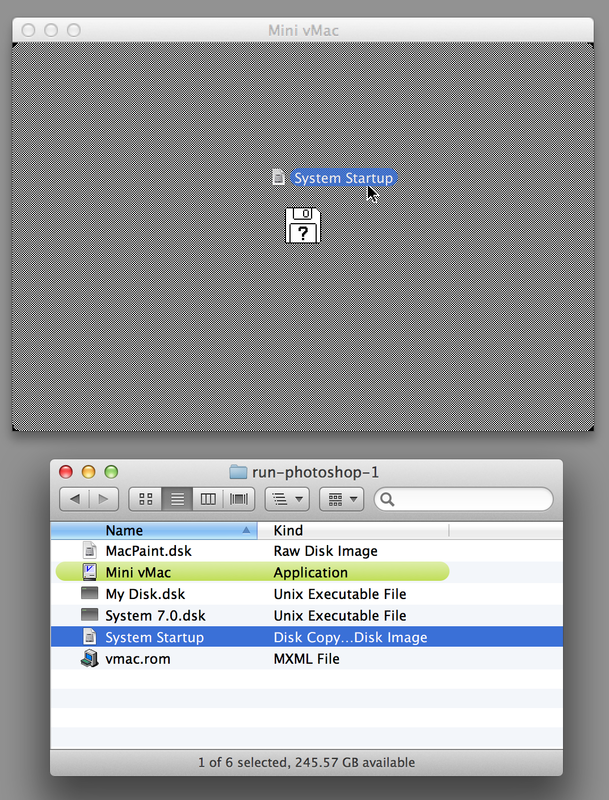 Click and drag the System Startup disk image onto the Mini vMac window. Mac OS System 6.0.8 should now be running on the emulator. 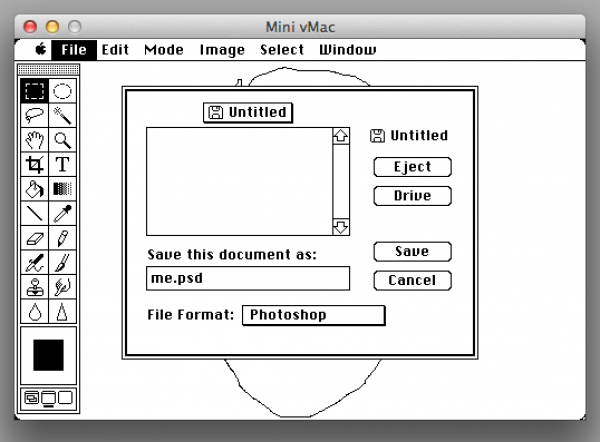 Click and drag the System 7.0.dsk image onto the mini vMac window. 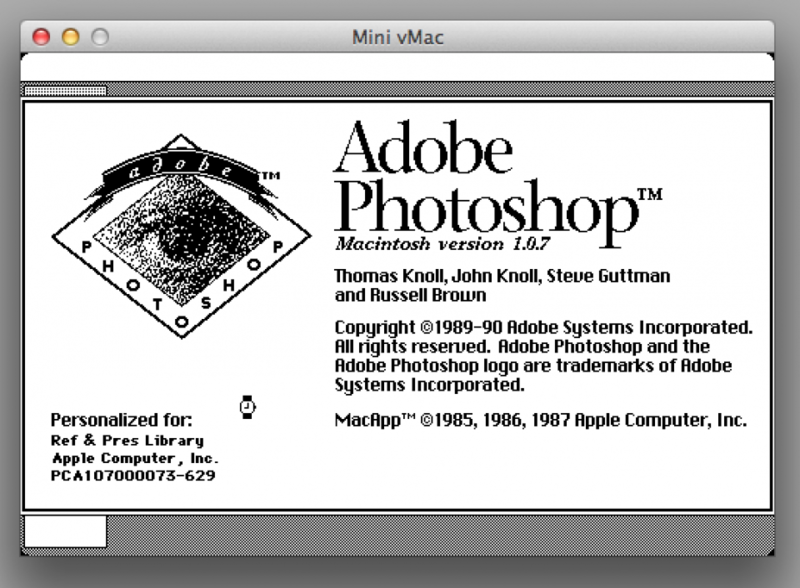 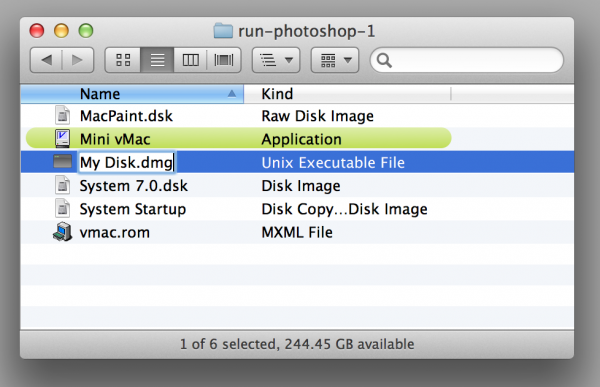 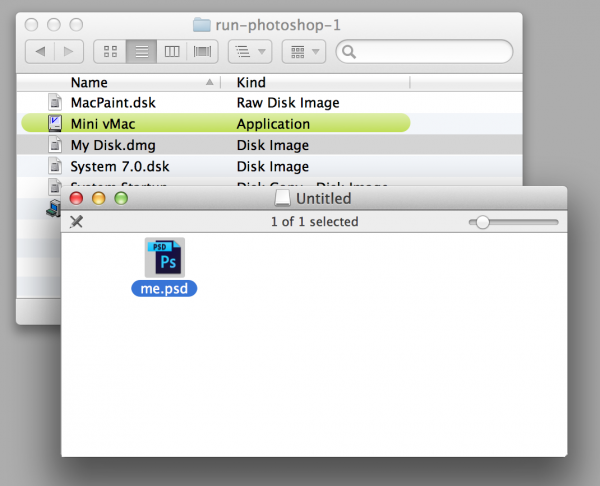 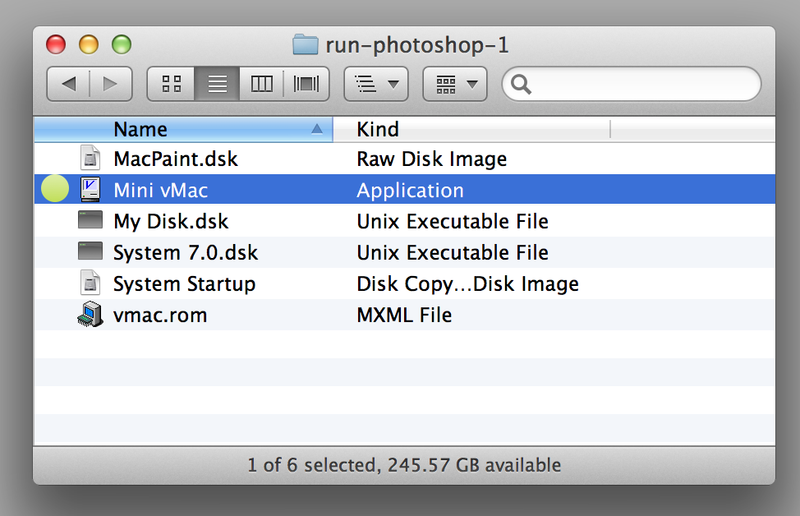 This will load the Photoshop 1.0 software into the emulated Mac OS. 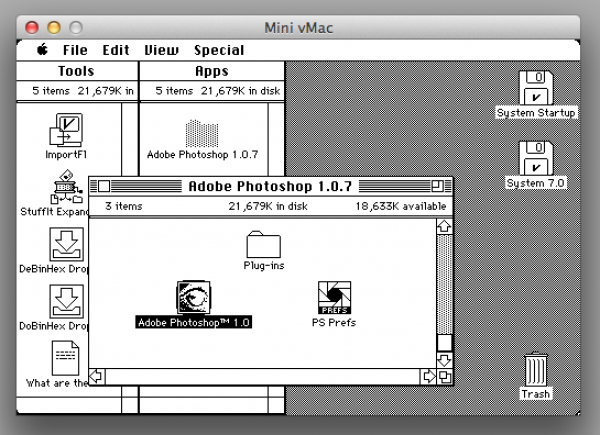 Double-click the Adobe Photoshop 1.0 icon to launch. 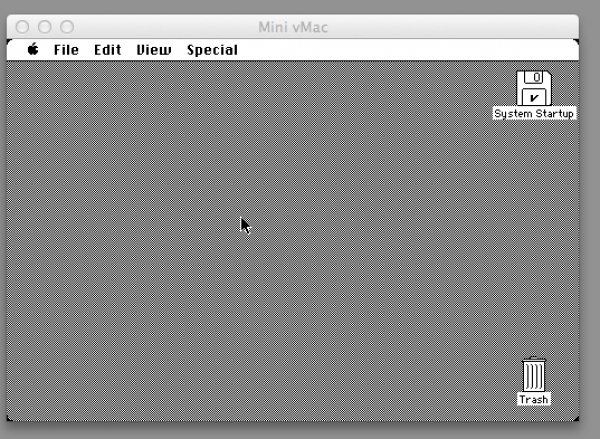 When you are ready to save, load up My Disk.dsk by dragging and dropping onto the Mini vMac window. 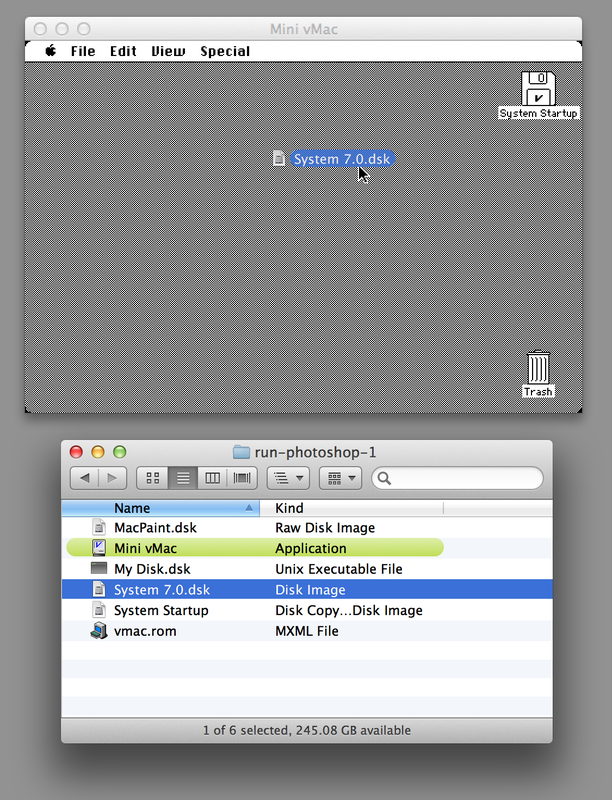 Make sure you are saving to your My Disk.dsk (not System Startup or System 7.0). You may need to click the Drive button once or twice to select the right drive. 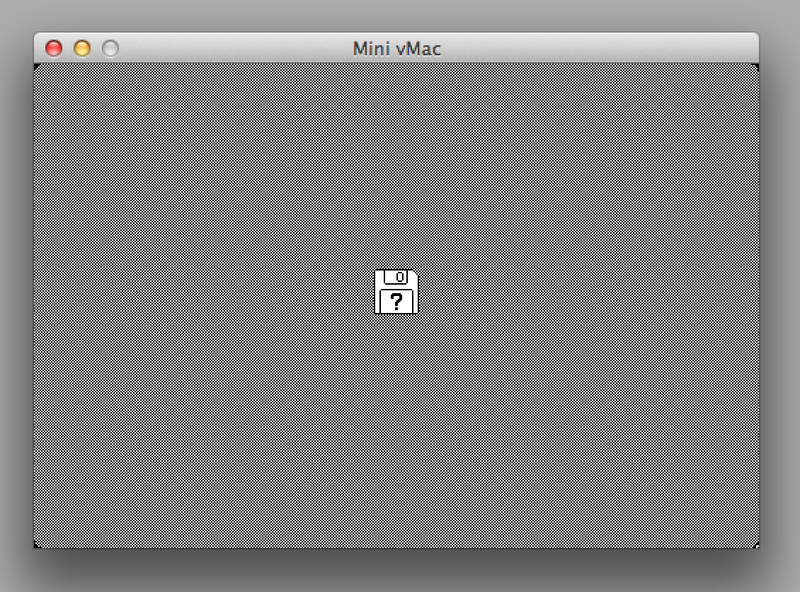 Exit Photoshop by selecting File->Quit.